Hello, loves! I am currently having a big spring sale with the hope of clearing out some of my inventory to make room for some wonderful new stuff. This is a great time of year for sales because there is SO much gift-giving in the early spring and summer! Let’s see, there’s graduation, Mother’s Day, spring birthdays, weddings, bridal showers, baby showers, and (in my family, at least) about a bajillion birthdays. So, as many beaders do, I find my self giving a LOT of jewelry as gifts and have come up with a few handy tips for gifting jewelry. Obviously, making sure a piece of jewelry fits is going to be really important. Bracelets in particular are really fussy with size. Your best bet is to enlist the aid of someone living with the giftee and have them measure a bracelet that the giftee wears often. That way, you’ll know what size they like to wear, instead of just having a wrist measurement. 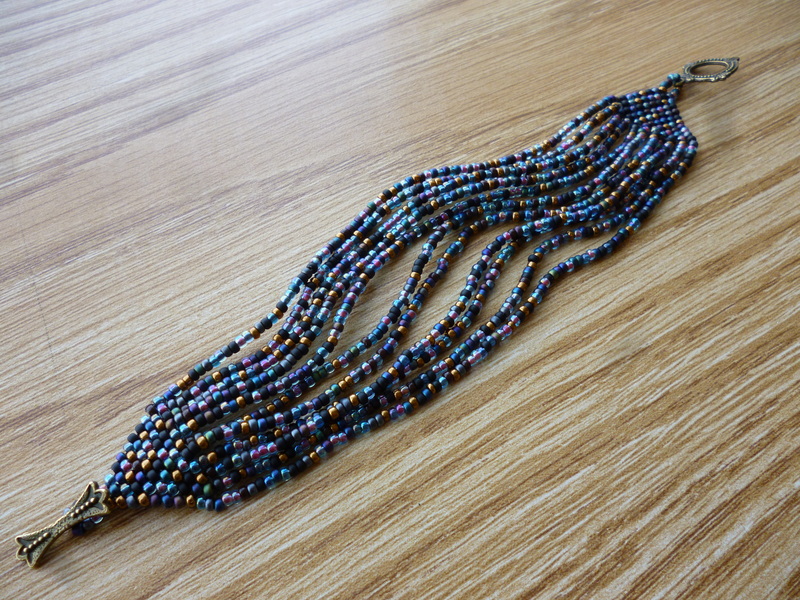 It is often safer to buy them a necklace or earrings, since is size is less of an issue there. A long necklace can fit a much wider variety of people than a seven inch bracelet, even with an extension chain. And as long as your giftee has pierced ears, you can’t get the wrong size of earrings. 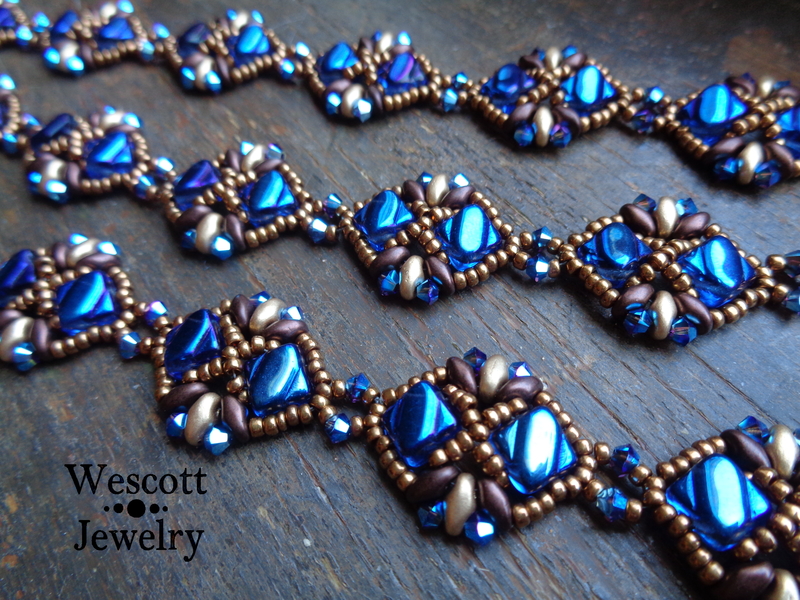 Sometimes, I make a single bracelet in multiple sizes, just in case. 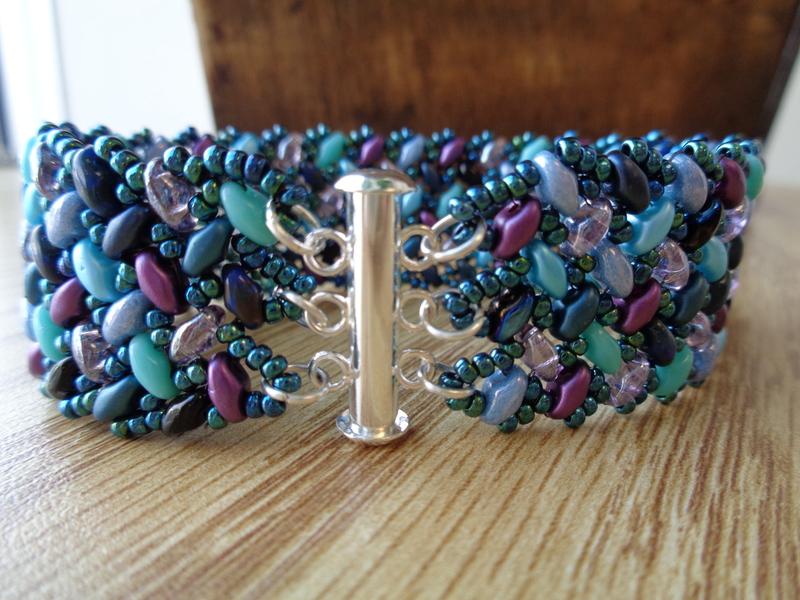 The toggle clasp on this bracelet is cute, but means the length is not adjustable. 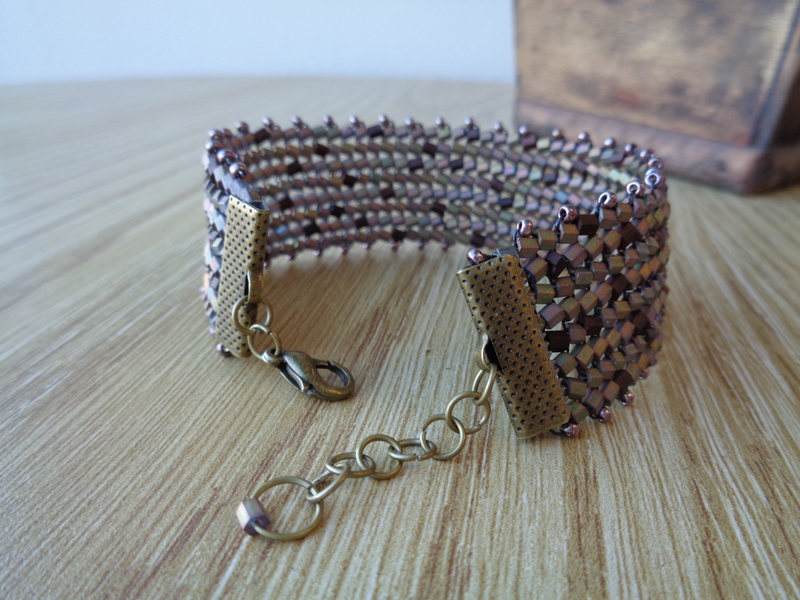 An extension chain makes this bracelet’s length adjustable. Be sure that your giftee can use the type of clasp on the piece of jewelry you want to gift. Lots of people struggle with lobster claws and toggles and therefore prefer magnets, but then you risk them losing a one of a kind piece. You also want to make sure they don’t have metal allergies. 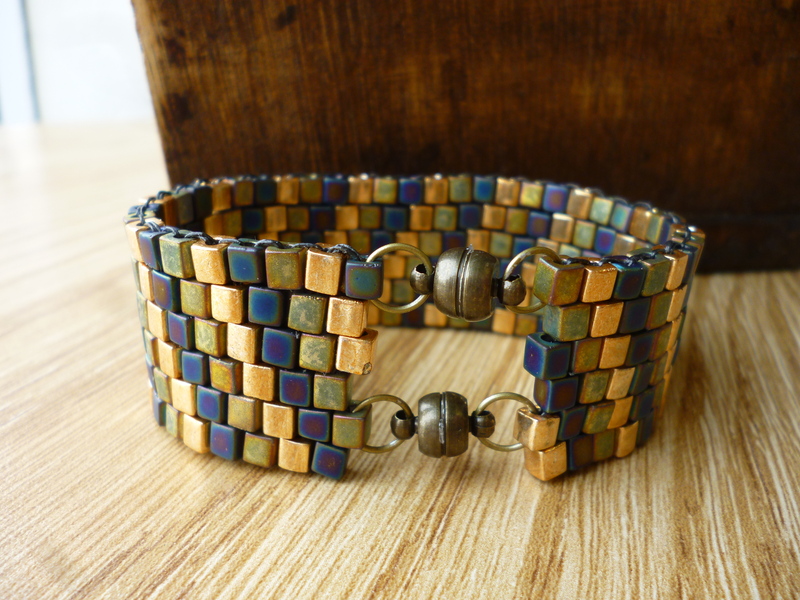 Your friend may love the beaded bracelet you made her, but if the base metal clasp gives her a rash, she’ll probably never wear it. This extension chains makes this cuff’s size adjustable, but lobster claws can be difficult for arthritic hands to manipulate. These slider clasps are very secure and look lovely, but take a little practice to learn how to clasp one-handed. These magnet clasps will be much easier to clasp without assistance, but I better make sure they are strong and secure! I know it’s hard to imagine, but some people just do not wear jewelry. That doesn’t mean that you cannot give them a handmade gift! In the past, I have made bookmarks, keychains, and rear-view mirror dangles for my non-jewelry-wearing friends. You also want to pay attention to what kind of jewelry your giftee wears. Some women will not wear heavy or long earrings. Others prefer chokers to long looped necklaces. Giving a chunky cuff to your dainty-wristed friend who only wears delicate chains is not going to go over well. Be sure to observe your giftee (or glance through their facebook photos) to see what style jewelry they wear most often. And don’t forget to think about colors! My mom, for example, pretty much only wears silver jewelry. She’ll take a pop of color here or there, but if i make her something in gold or (my favorite) bronze, she’ll admire it kindly and set it on her jewelry rack, with every intention of finding the perfect top to match. Then, she’ll never wear it and I’ll never see it again. 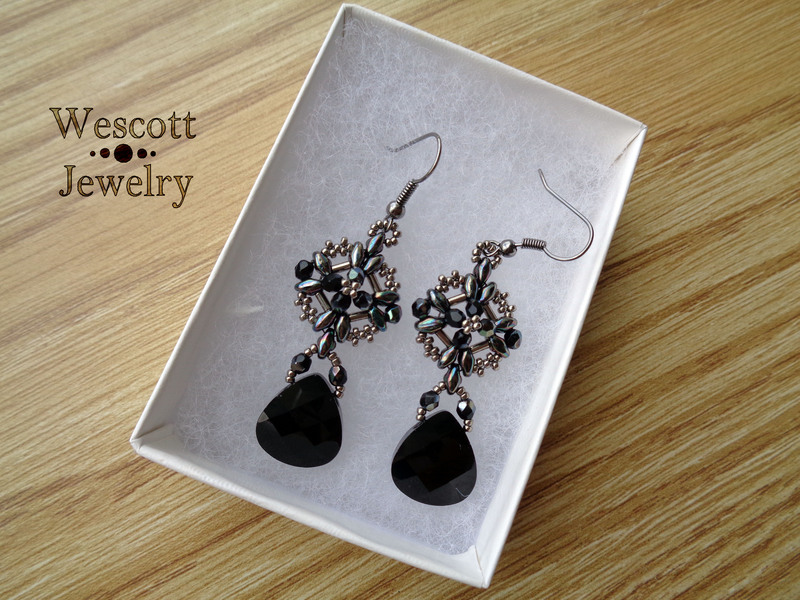 These black and silver earrings were designed specifically with my mom’s favorite colors in mind. 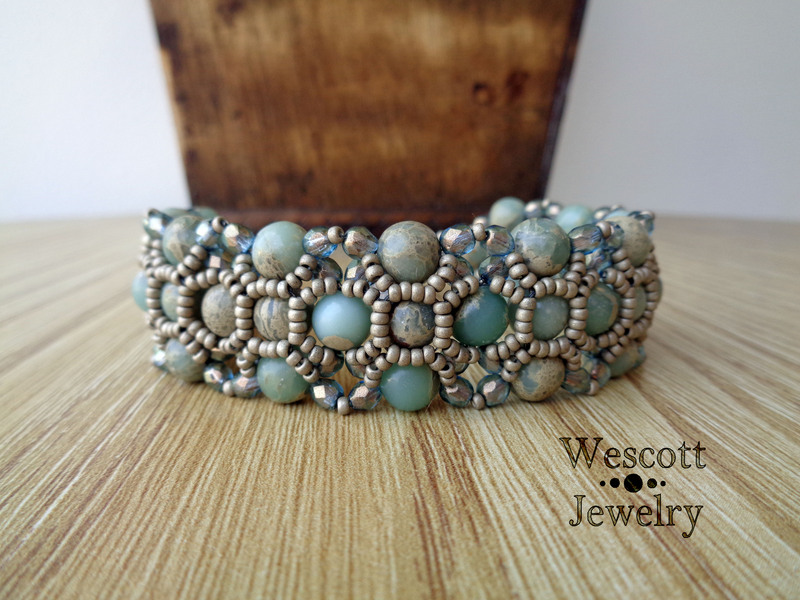 I love this big, bold cuff. But I have to remember that is probably too heavy for people who like dainty jewelry. 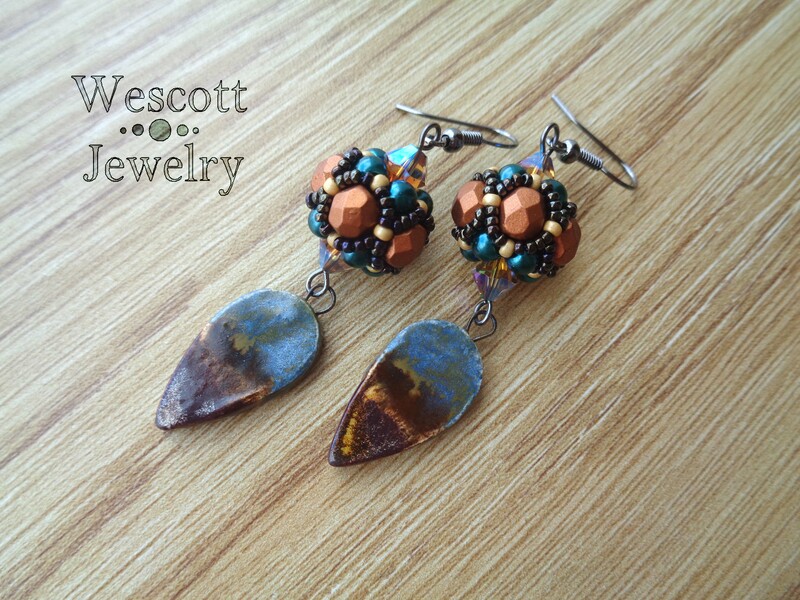 These earrings are full of color and movement, but at two inches long, they are probably too long for some people. All in all, giving jewelry as a gift is a great way to utilize your craft and bless your loved ones with something one-of-a-kind and special. But, be sure that you’re really thinking through what will work best for your friend. Be as choosy as they would be if they got to pick the jewelry out themselves! The extra thoughtfulness will make your gift all the more precious. Enjoy the spring gift-giving season, dear beaders! And remember use the code “Spring16” during checkout to get 20% off anything my etsy shop (including finished jewelry and patterns) until June 1st. 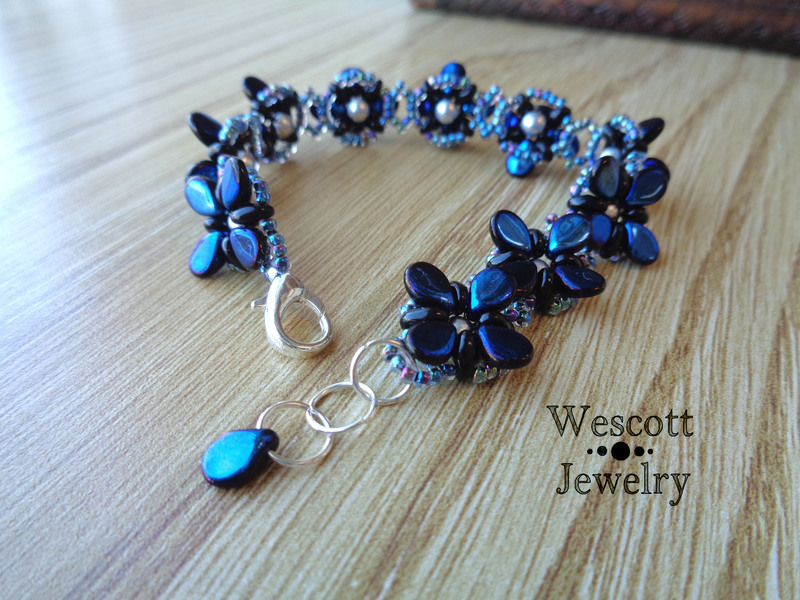 This entry was posted in Tips and Tricks and tagged art, arts and crafts, bead patterns, bead stash, beading, beading patterns, beading tutorials, beadweaving, beadwork, bracelets, crafting, crafts, diy, diy jewelry, gift giving, gift guide, handmade gifts, jewellry, jewelry, jewelry design, shopping handmade, shopping tips, wescott jewelry. Bookmark the permalink.